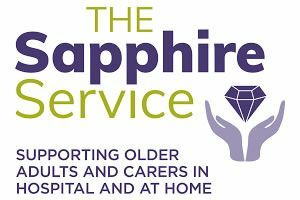 The Sapphire Service is a new hospital and community initiative operating across older people's wards at Sandwell and City Hospitals Trust Charity. Jointly delivered by Agewell, a local social enterprise for older people and the West Bromwich African Caribbean Resource Centre, a local charity for African Caribbean and Dual Heritage individuals and families. Signpost and help older adults and their carers to access community services in their local area which can improve their quality of life.